Double K Farms, known as Mitcham Farm, has been in operation through five generations - well over one hundred years. 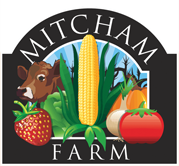 Although farming and agriculture have changed, the Mitcham Farm supports the preservation of agriculture resources for future generations. 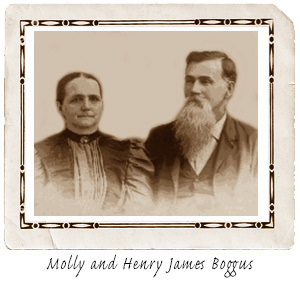 In 1848 our great-grandfather, Henry James Boggus and his wife, Molly, settled in Newton County on 180 acres. His son, Thomas Grover Boggus, lived on this farm and followed a plan to make his farm self-sustaining. The farm was well adapted to the production of food and feed crops, as well as cotton. During the 1920's, great-grandfather Boggus had pure Barbed Rock chickens, a small herd of hogs, and Jersey cattle. He sold enough butter, eggs, sausage, cowpeas, corn and other products to pay for all supplies needed for running the farm. Today, the farm is owned and operated by Tommy Mitcham, great-grandson of Henry James Boggus, and his two sons, Kevin and Keith. In October 2000, the farm was recognized as a Centennial Family Farm by the State of Georgia for its contribution to Georgia's agriculture heritage. In 2004, the Mitcham Family opened Colonel Cob's Corn Maze and Pumpkin Patch to expand its operation to the agritourism industry and began welcoming visitors to their farm. In 2006 they expanded and began growing strawberries - selling to schools, hospitals, supermarkets, and roadside markets. The farm now welcomes visitors to pick their own berries fresh from the fields and sells vegetables from their market. Years later, we continue to be a family-friendly destination. 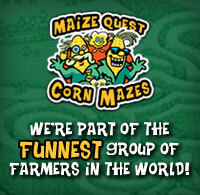 We look forward to seeing you here at our farm!